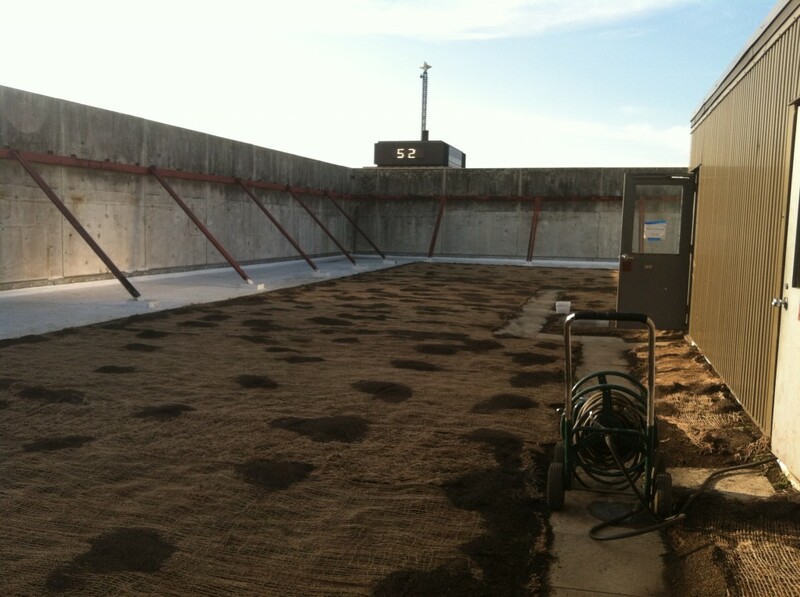 Construction of the Onondaga Tower Green (vegetated) roof was completed on September 14. Irrigation to continue for 2 weeks to until cuttings are established. Check back for updated photos next year! This entry was posted in Green Infrastructure, Green Roof and tagged Central New York, engineering, green infrastructure, Green roof, green stormwater infrastructure, New York, Onondaga County, Save the Rain, Syracuse, vegetated roof on September 15, 2014 by admin.